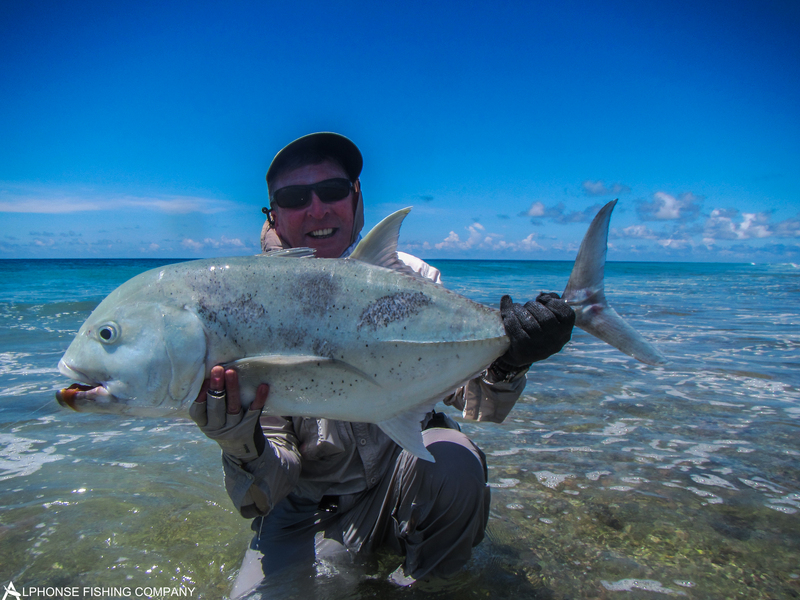 Renowned for their speed and ferocity, Giant Trevally are one of the most sought after fish in the Indian Ocean. 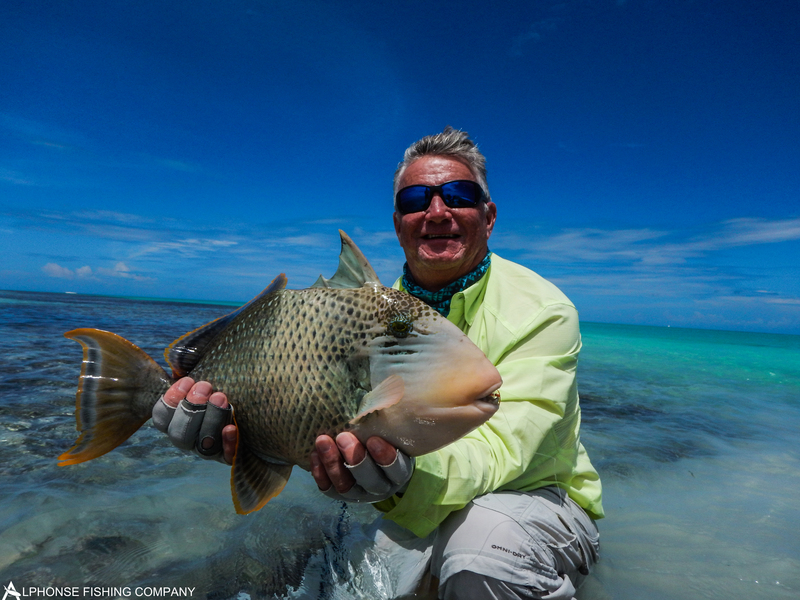 Even for seasoned anglers these beasts prove to be a very tricky quarry to tame. Their sheer size and presence will have guides going mad and guests weak at the knees. 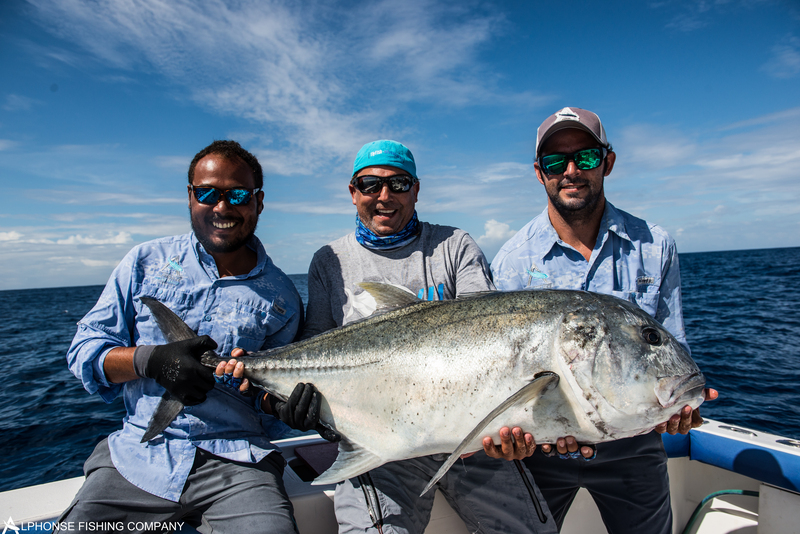 We were very fortunate this week to have some great opportunities to target these fish with some fantastic results to show for it. 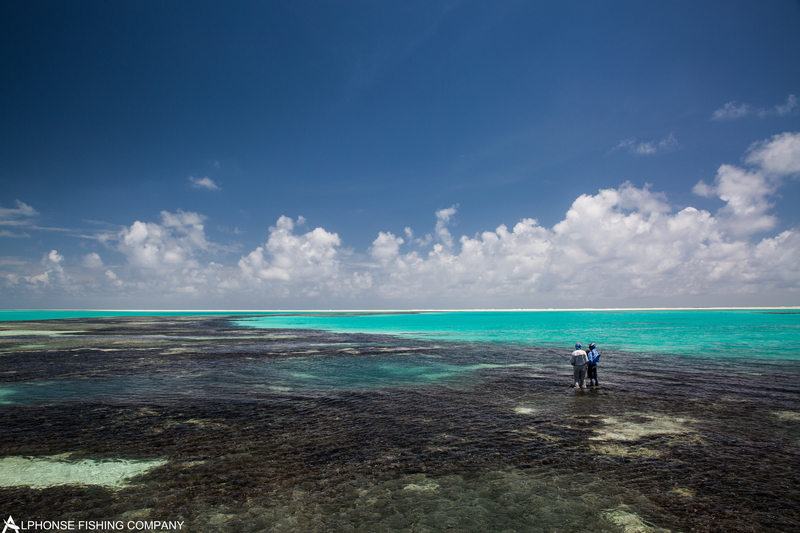 This week’s “super-moon” saw some of the largest spring tides ever recorded in St Francois lagoon. 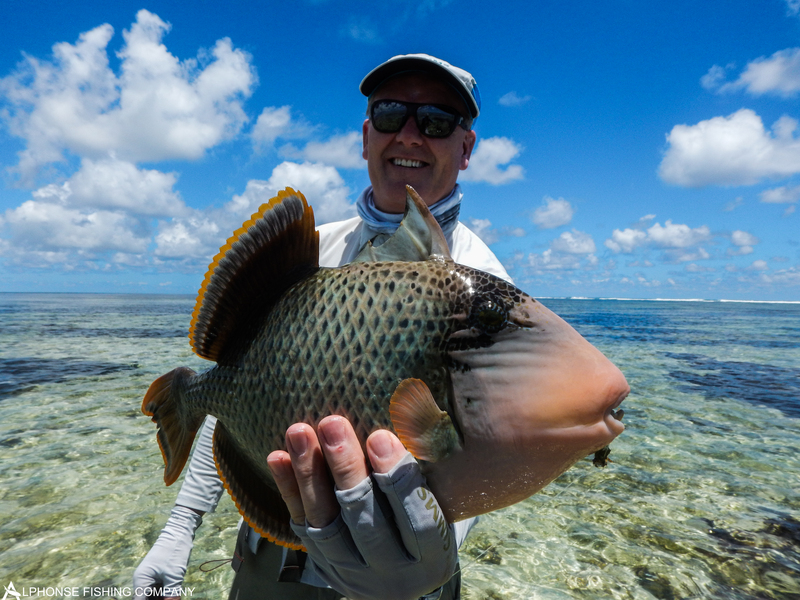 With a tidal variation of up to 2.6 meters, this week would provide ideal conditions to walk the surf for GT’s and triggerfish. 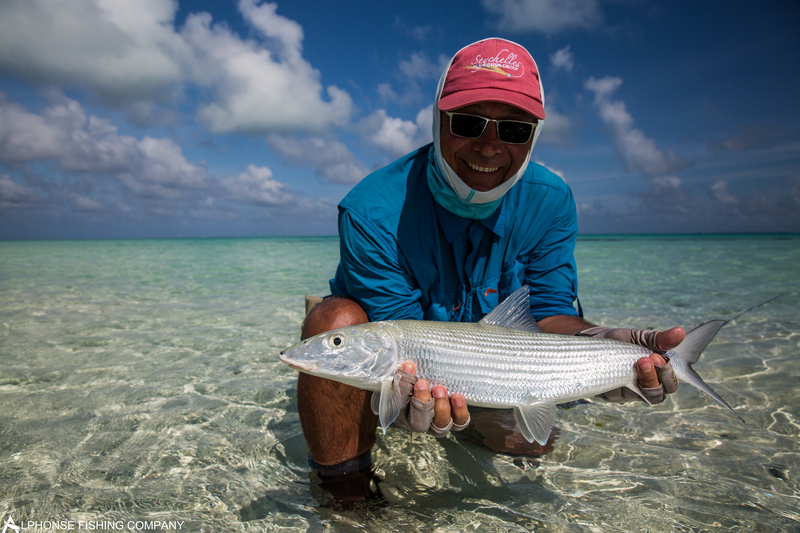 Moreover, the sheer volume of cold water moving off the flats in the morning would see some short yet sweet bonefish drops during the latter part of the week. 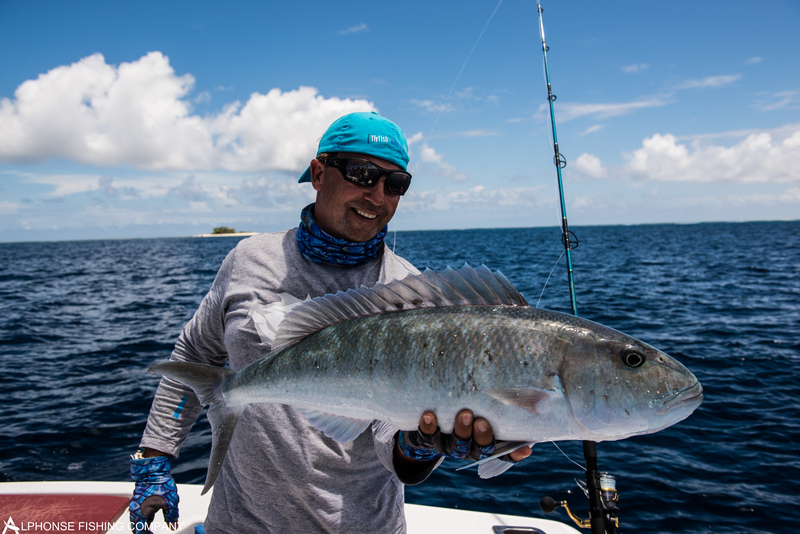 Sadly the weather did not play into our hands for the first part of the week but in spite of this some amazing catches came straight off the bat. 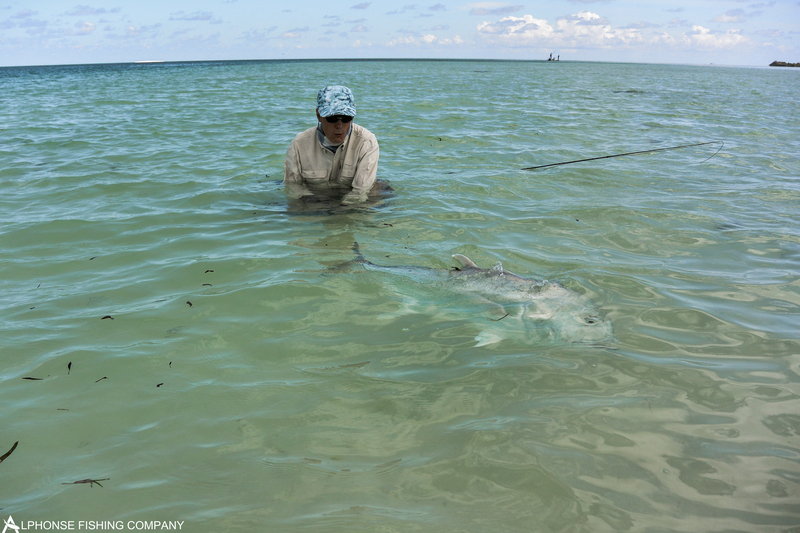 The largest GT to be landed on the flats this week came on the very first day. 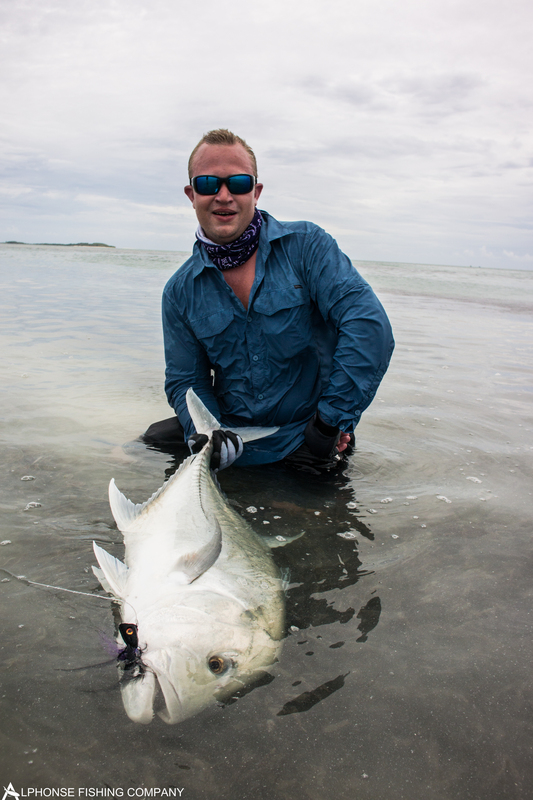 Jonathan A. wasted no time and landed a beautiful 106cm GT. 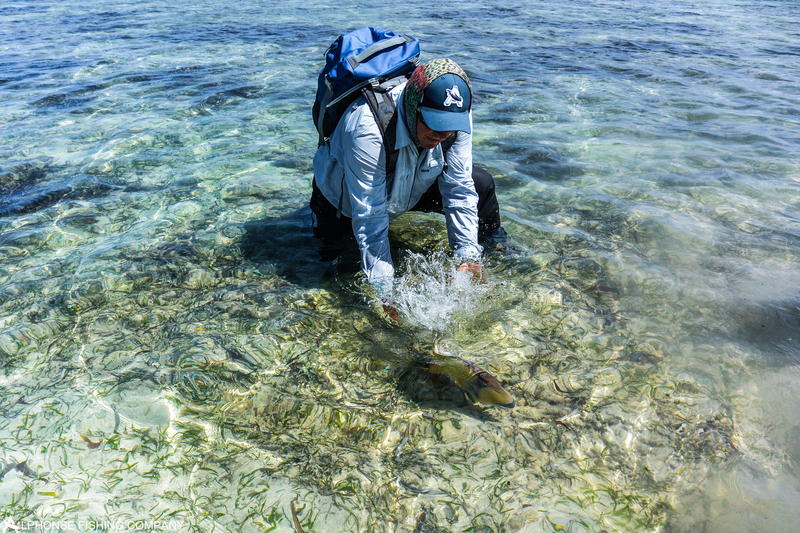 The first to join the 20+ bonefish club were brothers and boat partners Niall and Mark T. who doubled up on 20+ bonefish in one session. 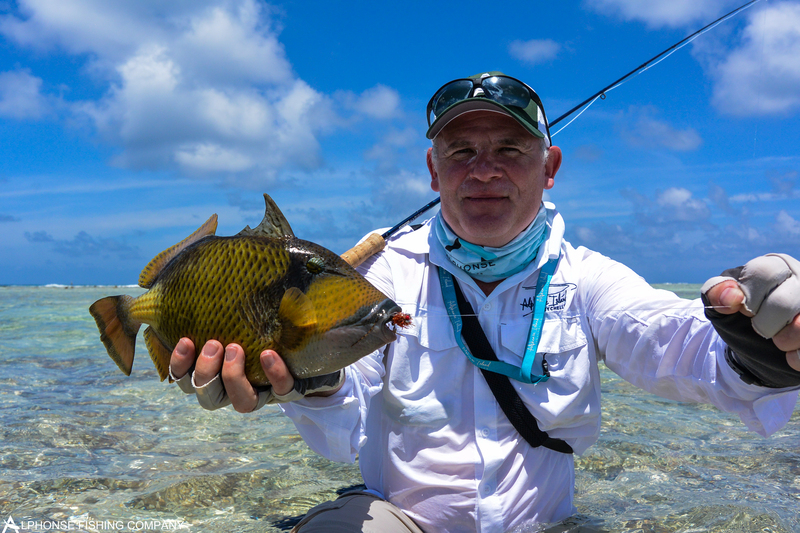 They also managed to land a triggerfish each with Mark catching a yellowmargin and Niall finishing off the week with a Giant. 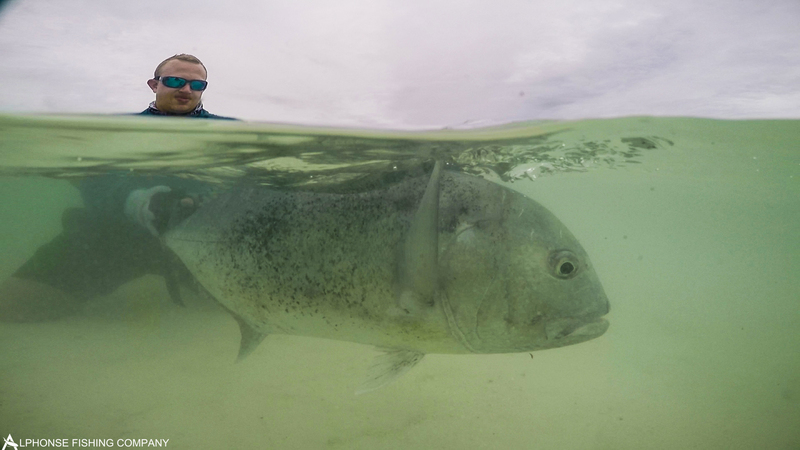 The GT crown for the biggest fish of the week goes to Niall with a stunning 114cm fish caught whilst dredging on the outside. 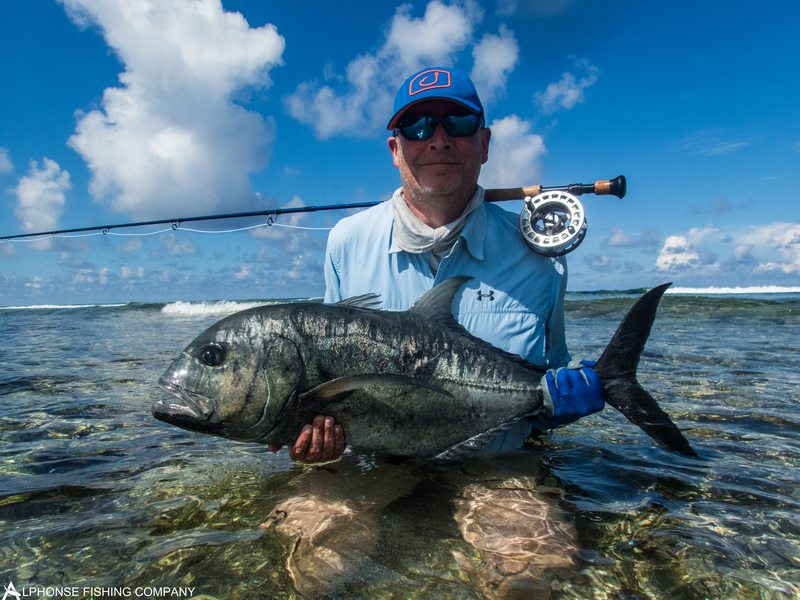 Greg T. also contributed to the fish tally up with a nice 90cm fish caught in the surf. 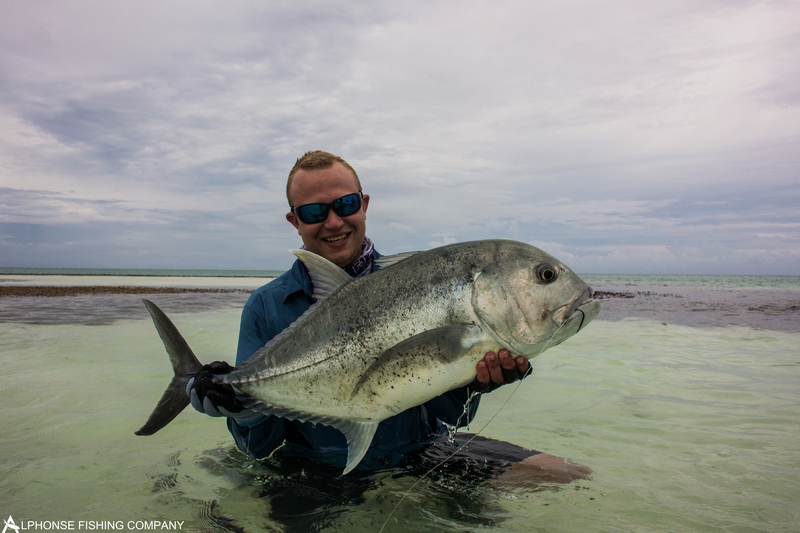 Despite bad weather on the third day, Cullen R. persevered to land not one but two GT’s that day measuring 81cm and 87cm. 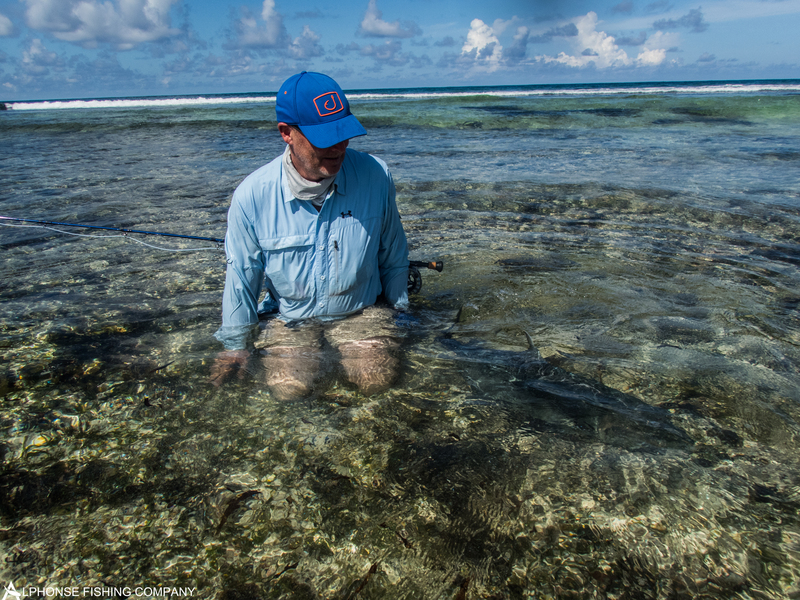 He also doubled up on 20+ bonefish, with his father Graham R., in one day. 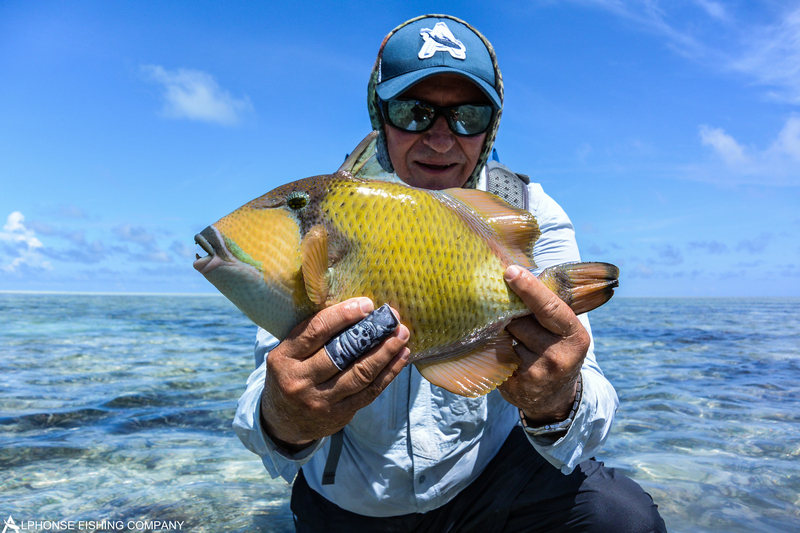 Graham topped off his week with a very good Giant Triggerfish. 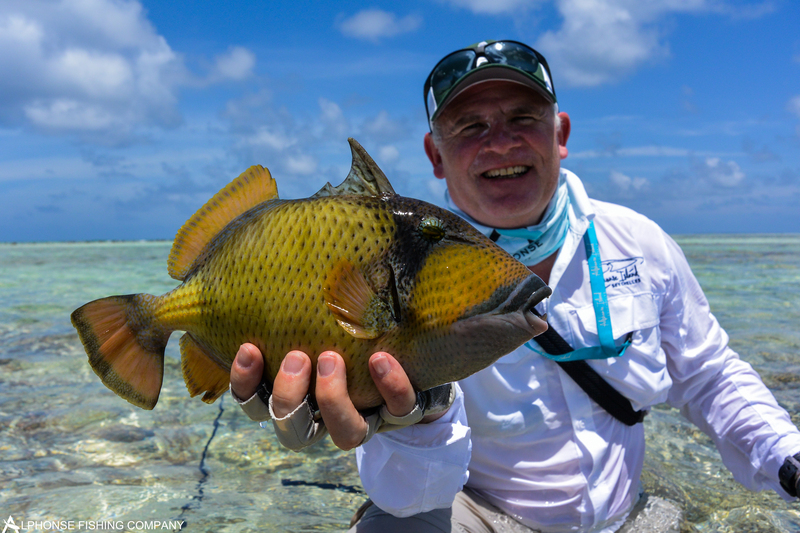 Richard G. also boosted the triggerfish numbers with a stunning yellowmargin. 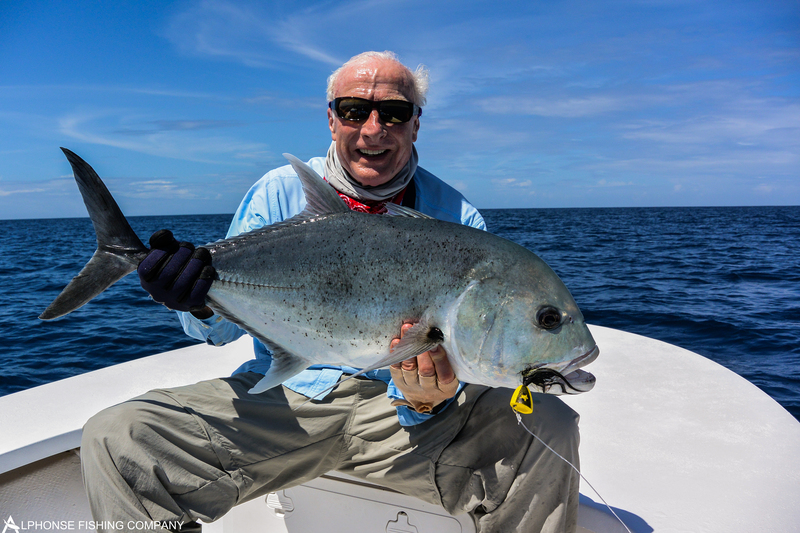 Richard also managed to double up on a sailfish during a bluewater trip with his boat partner Nicholas H. They later caught a bonefish each to complete a double “Bills and Bones Slam”. 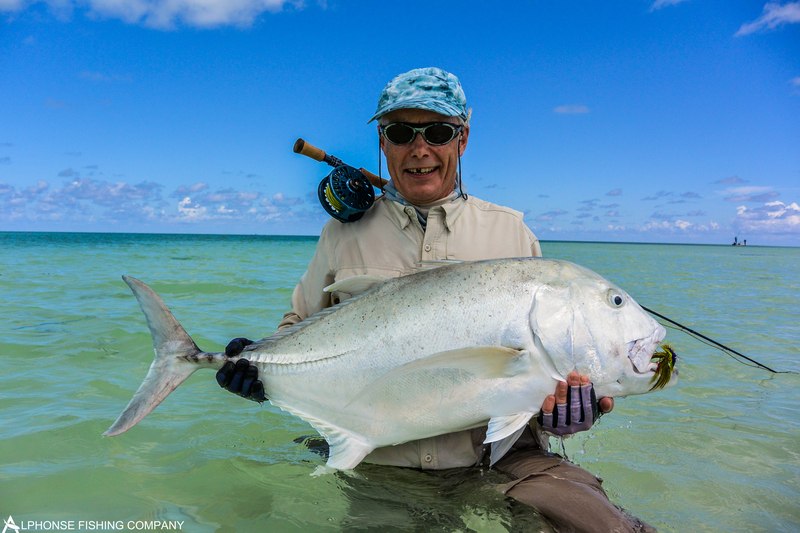 A huge congratulation goes out to Helmut Z. who managed a very impressive feat and slightly put the guides to shame. 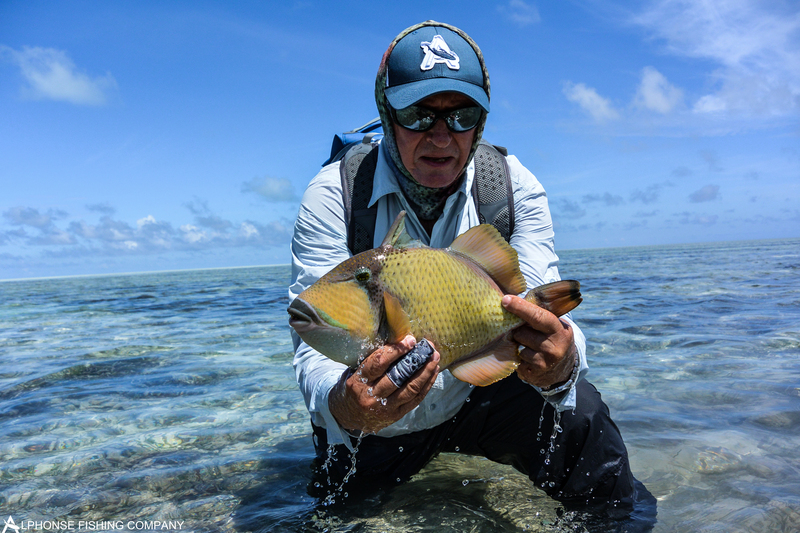 On the last day, Helmut managed to catch the holy grail of fly-fishing, the Indo-Pacific Permit, fishing unguided whilst on Alphonse. Joern and Maria H. stayed with us for a couple of days before departing to Astove. 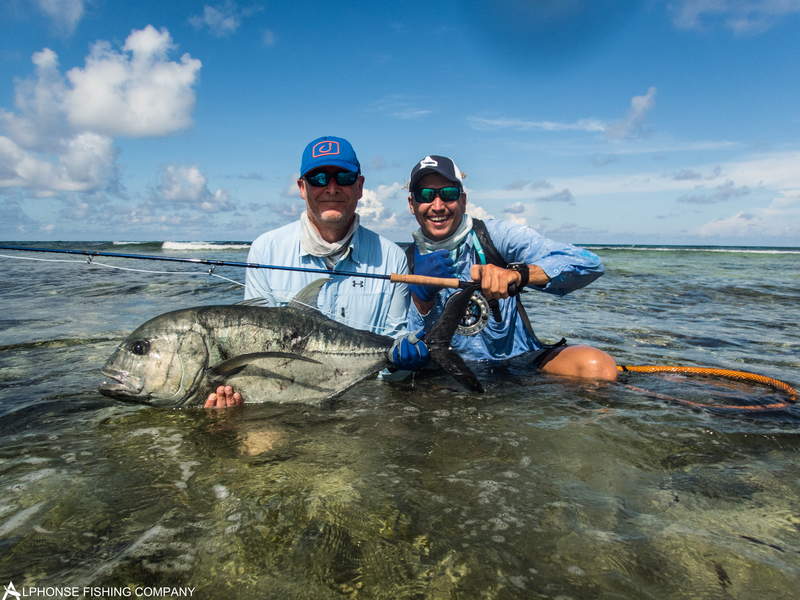 They spent their time exploring some new and exciting sea mounds during which they managed to raise a blue marlin and catch a sailfish and two wahoos. See last week’s images below. 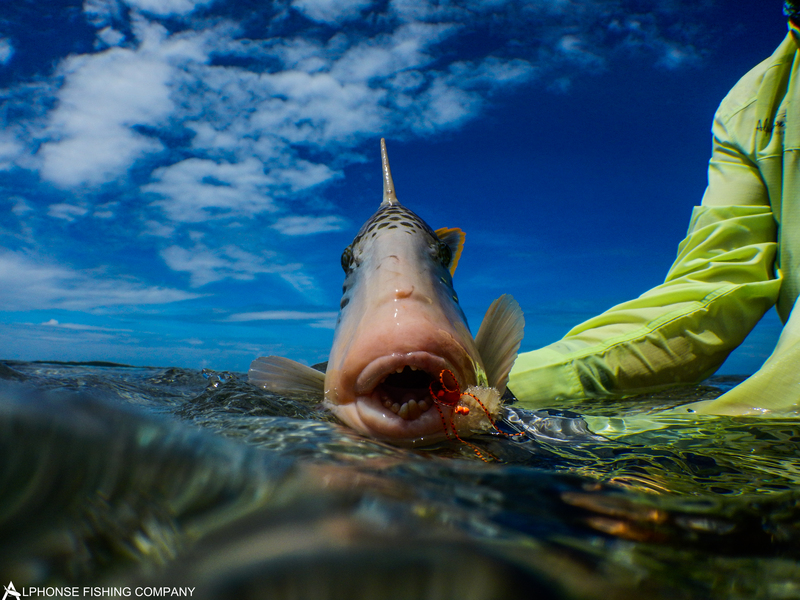 All the best and tight Lines from the Alphonse Fishing Co. team.